Shirt: Nordstrom (on sale not maternity) also love this and this, Vest: old navy also love this and this, Jeans: A Pea in the Pod c/o similar here and here, Boots: Tory Burch also love these, Bag: Prada craving this, Necklace: Purple Peridot c/o, Sunglasses: Karen Walker This is the only plaid shirt I have left that still fits me! Shopping is becoming a bit of an issue. I don't have that much time left in my pregnancy so I am not wanting to buy to many more clothes that won't fit me after I have the baby. So I am trying to make things that I already have in my closet work. Old Navy has really been great because I can get a lot of really affordable things. But I love plaid this time of year so I might have to pick up another plaid shirt. Anyway, I love this puffer vest. It is a great price and can be paired with pretty much anything. And I was able to get my normal size so I know I can wear it after the baby comes. 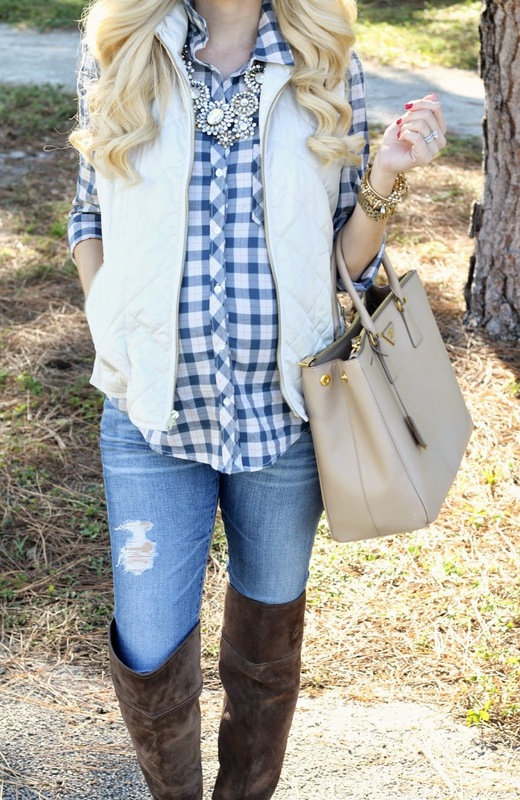 Great plaid shirt and over the knee boots! You look beautiful!! 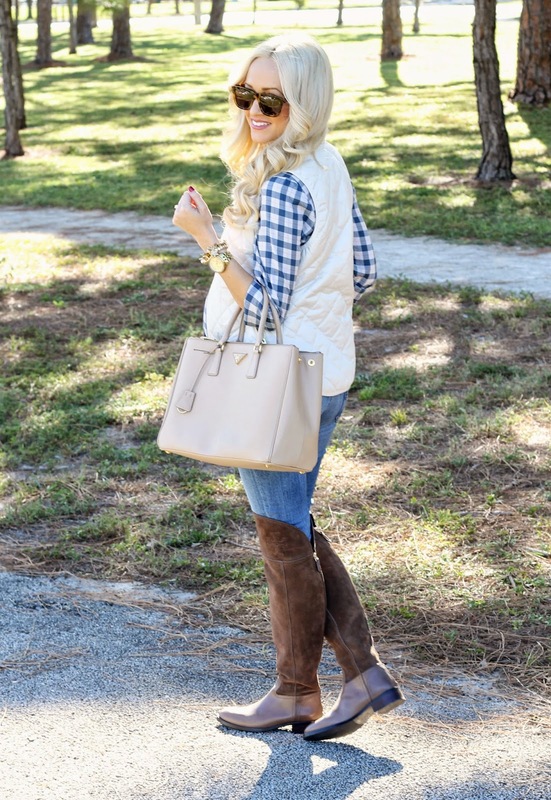 I LOVE this combination for fall! Looks so pretty paired with the purple peridot necklace too! 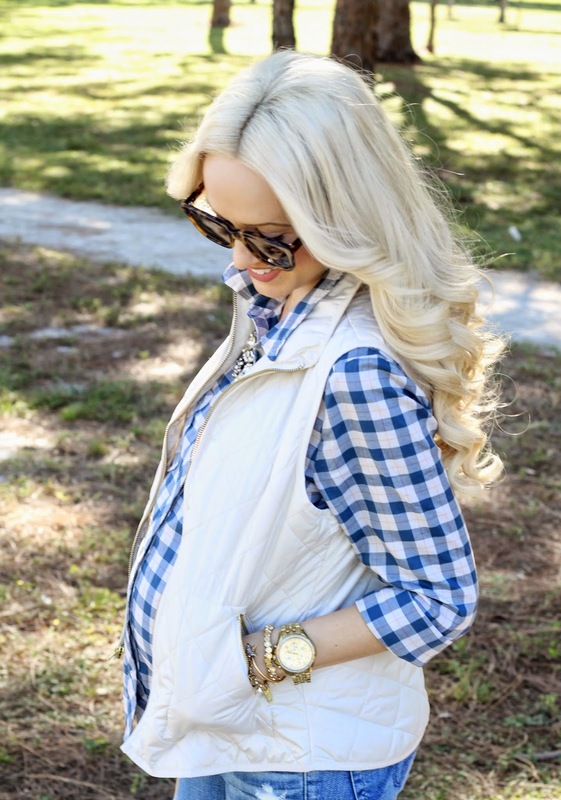 love that plaid shirt and how you've styled it with that comfy-looking vest! I will definitely have to rediscover old navy! I've seen you wear that necklace a dozen times but I can't get over it! It's stunning and you are glowing! i can't believe those are maternity jeans! any recs for maternity wear for a little bump? i feel like i am still too small to go full on maternity wear just yet! 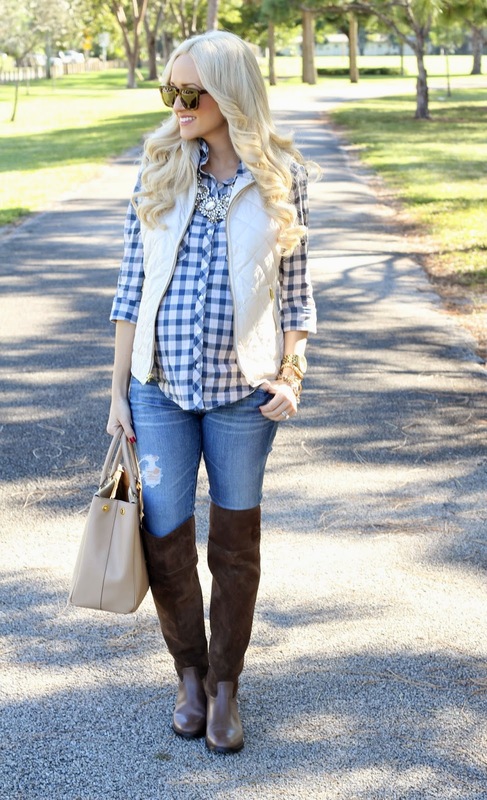 Such a gorgeous outfit, everything is so spot on in this: the necklace, the gingham and the vest! Love it! These boots are gorgeous on you! You are looking great, girl! Love the vest! Such a great price point too! Obsessed with your outfit! Gorgeous! Those boots are amazing! 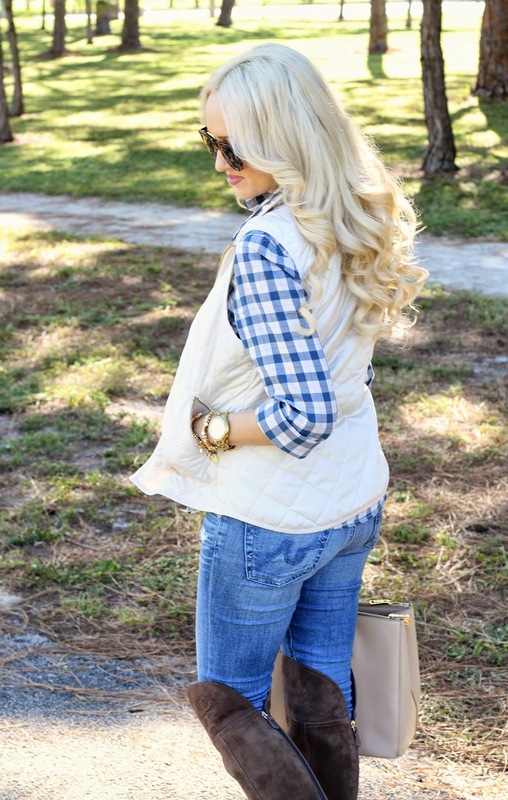 I love the simple way you pair them with gingham & that vest, and that statement necklace was so perfect!